Oct. 31, 2016, 10:51 a.m.
By Joseph Lichterman @ylichterman Oct. 31, 2016, 10:51 a.m.
On average, when an AP sportswriter covers a game, she produces eight different versions of the same story. Aside from writing the main print story, she has to write story summaries, separate ledes for both teams, convert the story to broadcast format, and more. “It’s a manual labor nightmare,” Jim Kennedy, the AP’s senior vice president for strategy and enterprise development, told me in his New York office. Collectively, AP journalists spend about 800 hours a week converting print stories to broadcast format. As a result, the AP is experimenting with machine learning in an attempt to automate some of those processes. The news agency wants to free up capacity for journalists while also increasing its output as it looks to provide new types of coverage to its clients to try and grow its business. Over the past several months, as part of its work with Matter Ventures, a cross-sectional team of five AP staffers has been working on developing a framework to automate the process of converting print stories to broadcast format. The team built a prototype that just identifies elements in print stories that need to be altered for broadcast. (Stories are shorter, sentences are more concise, attribution comes at the beginning of a sentence, numbers are rounded, and more.) Though the tool can identify those items, AP strategy and development manager Francesco Marconi, who worked on the project, cautioned that the news agency has yet to conduct real trials on the tool or run quality control tests. To move forward with the project, the AP will have to partner with an outside company that specializes in machine learning. To start, it would focus on one specific sport and use archival versions of print and broadcast stories to develop an algorithm that could actually automate the versioning. Last year, the AP created a five-year strategic plan to outline its company-wide goals through 2020. Last week, the news agency’s leadership met to begin to decide what it will prioritize in 2017 as it works toward those 2020 goals. Kennedy said there are seven initiatives under consideration for funding next year, including this effort around automation. Customer engagement and user generated content are some of the other areas that the AP is focused on, but Kennedy said he’s hopeful the agency will continue to fund the work around automation, which began in earnest in 2014. That year, working with the company Automated Insights, the AP began automating some corporate earnings stories. The news agency now produces about 4,000 corporate earnings stories each quarter — ten times more than when it just had reporters writing stories. This year, it also started working with Automated Insights to cover minor league baseball games by turning data from box scores into text stories. The AP has also invested in the company. Kennedy said he expects the process of working with an outside firm to develop the automated print-to-broadcast to take about six months. The prototype they’ve currently developed is pretty basic, and for the project to be successful, the broadcast stories will need to be good enough that they won’t need to be edited by human editors before they go out onto the wire. To reach its goal of having 80 percent of its coverage be automated by the end of the decade, the AP is looking at other types of automation beyond the print-to-broadcast versioning. For instance, it thinks it could ultimately use machine learning to adapt stories for different devices — from wearables to voice-activated speakers in the car or home. Another use of automation would be to customize coverage for different clients or audiences. AP sportswriters already produce stories with “hometown ledes” for fans of both teams in a game. Reporters also use a different style when writing for a domestic or international audience. These are aspects that could be automated. Additionally, the AP thinks it could potentially use machine learning to write its stories in different voices for specific clients. The AP, Kennedy said, sees this type of versioning as a key element to its future. The wire service used to produce different distinct versions of stories — for morning and afternoon newspapers, for instance. But with the emergence of the Internet and the constant news cycle, the AP abandoned many of those practices in favor of “real-time versioning” and regularly updated stories. There have been stories for years about newspapers ditching the AP, but the news agency is hopeful that new product offerings — including the automation efforts — will entice papers and other clients to use the service. For example, when it comes to user-generated content, the AP worked with SAMDesk, a social media CMS in which it has invested, to create a tool that combines the AP wire with SAMDesk’s feed of user-generated content that it has authenticated or is attempting to authenticate. It initially created this tool for internal use, but it thinks it could also license it to clients. Photo by Michael Dain used under a Creative Commons license. POSTED Oct. 31, 2016, 10:51 a.m.
Lichterman, Joseph. "The AP wants to use machine learning to automate turning print stories into broadcast ones." Nieman Journalism Lab. Nieman Foundation for Journalism at Harvard, 31 Oct. 2016. Web. 19 Apr. 2019. Lichterman, Joseph. 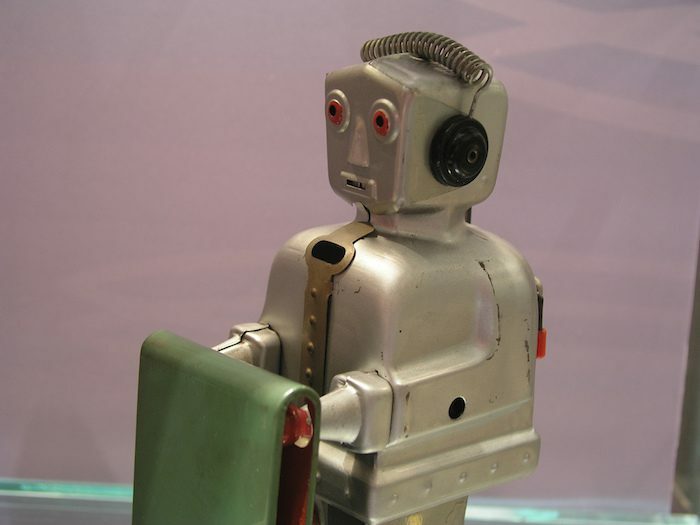 "The AP wants to use machine learning to automate turning print stories into broadcast ones." Nieman Journalism Lab. Last modified October 31, 2016. 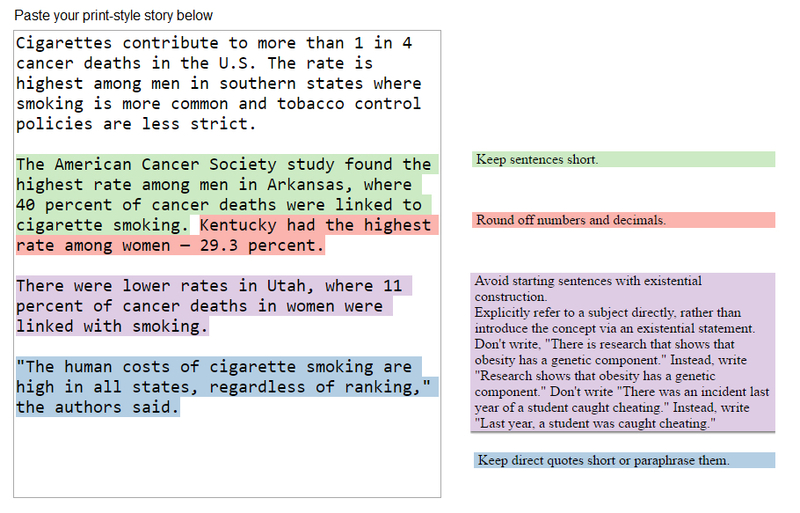 Accessed April 19, 2019. https://www.niemanlab.org/2016/10/the-ap-wants-to-use-machine-learning-to-automate-turning-print-stories-into-broadcast-ones/.